Here are some guidelines to help make your student visa application process smooth and successful. Getting your visa to study in the United States takes time but can be a surprisingly easy procedure. Universities, colleges and schools in the United States continue to be very interested in welcoming students from all countries. While the application process for an international student or exchange visitor visa can be confusing, hundreds of thousands of students are able to meet the requirements for a visa each year. Last Year 393,573 F-1 Student visas were issued and there are currently 1,184,735 students in the United States on F and M visas! After a college, university, or English language school has accepted you for admission to full-time study, the school will send you a document called an I-20 form, which is the application for an F-1 visa. If you will be an Exchange Visitor, the organization or U.S. Government agency that is sponsoring you will send you a DS-2019 form, which is the application for a J-1 visa. You can visit the website of the United States Embassy or Consulate in your country at usembassy.gov to read about Nonimmigrant Visas. Go to the section on visas and read about the correct procedure currently in place for Nonimmigrant Visas. 1. First, your school or university will send you a form confirming that you have been accepted at an institution authorized by the U.S. Citizenship and Naturalization Service (USCIS) to enroll non-immigrant students (the I-20 for an F-1 visa or the DS-2019 for a J-1 visa.) You will read and sign this form. Be careful to make sure that the name and spelling on your passport is exactly the same as the name and spelling on your application for acceptance to the school and that the school has entered your name as it appears on your passport on the I-20 or DS-2019 Form. All applicants’ names have to be submitted for a security clearance. Citizens of some countries and students who will study certain subjects at a university have to undergo additional screenings that takes several additional weeks of processing. Again, it is crucial that you allocate plenty of time for the visa application process. 2. Second, you will need to make an appointment for a visa interview and to pay some required fees. Under a revision in the regulations, Student Visas can be issued up to 120 days before the date on your form I-20. Exchange Visitor Visas can be issued anytime before the date on the DS-2019. You should apply as early as possible for your visa. Another website (https://travel.state.gov/content/travel/en/us-visas/visa-information-resources/wait-times.html) can also tell you the expected wait time for a visa in your country. International student visa applicants should receive priority by the embassy or consulate. So, if your academic program begins soon, be sure to explain this when applying for your visa. You may wish to visit or contact the nearest U.S. Department of State-affiliated EducationUSA advising center office in your country. They are located throughout the world and listed at https://educationusa.state.gov/find-advising-center. The staff at these centers will be able to offer guidance and explain where to pay the visa fees and how to schedule your interview. There is a US$200 SEVIS fee for F and M visa applicants, $180 for most J Visa applicants, which supports the cost of the computer system used to record your stay in the United States (SEVIS).. You can pay this fee with an internationally valid credit card. Go to https://fmjfee.com/index.html to pay, and make sure you print a copy of your receipt. You must pay the SEVIS fee at least three days before the date of your visa interview. Bring a copy of your receipt to your visa interview. You will also need to pay an additional US$160 for the visa application fee in your country at the U.S. Embassy or Consulate or at a bank that the Embassy designates. Specific information on where to pay the visa application fee can be found at the web site of the U.S. Embassy in your country. Complete the DS-160 form on line completely. Again, remember to use the exact same order and spelling of your names as they are found in your passport. Then you will print them out and bring them to the Embassy when you go for your your visa interview. If the upload of your photo fails, you must bring the photo with you when you go for your interview. Some Embassies also request you bring an extra photo to your interview. 4. Fourth, prepare for your visa interview. It is extremely crucial that you apply for your visa well in advance of the date your studies begin. If possible, apply three months before you plan to travel to the USA. This will give you extra time if there are delays at the embassy, or if you wish to appeal a decision in the event of a denial. What you wear is important. Consider the interview a formal event. Business attire is appropriate. First impressions can be crucial, since there will be little time to speak with the officer, who will often have only a few minutes to conduct the interview and make a decision. Be prepared to give your information quickly and completely. If you are unable to answer the questions in English, and the visa officer does not speak your language, you can ask for an interpreter. Speaking English is not a requirement for a student visa. 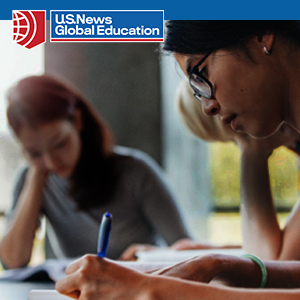 In fact, thousands of students come to the United States each year to learn how to speak English. The visa officer needs to know your specific objectives, both academic or professional, for studying in the United States. Be prepared to explain why it is better to study your specific field in the United States than to study at home. Be ready to say exactly what you will study and for what career your U.S. studies will prepare you. Calmly state your education plans concisely and clearly. If you are going to the USA to learn English and then earn a degree, be able to explain your complete program of study. Remember, it is not enough to just say, “It is better to study in the United States.” Give valid reasons why it is better for you. Visa officers like to hear honest, direct responses to questions. They generally react poorly to applicants who give vague answers, memorize a speech, or make overly solicitous comments about how great and wonderful the United States is. You should also be able to explain in detail why you chose to study at a specific school and be able to give information about that school and where you will live (dormitory, host family or apartment). If you will return home to complete university studies after studying English in the United States, bring proof of your student status in your country. A letter from a university professor supporting your study plan can be helpful. Young people around the world are often unsure of their plans. However, in the visa interview it is best to give definite answers. If you seem to be unsure about what you will be doing, the visa officer may believe that you are really going to the United States for reasons other than education. Grades do make a difference. If your marks are below average, be ready to provide explanation on how you are going to succeed in the United States. A letter from a school director or teacher, or from your U.S. admitting school stating that the proposed program of study in the United States makes sense and explaining your good prospects for success can be helpful. If there were special circumstances (such as a death or illness in the immediate family) that contributed to the poor grades, have the school explain those special circumstances. You must have adequate, demonstrable financial support to live and study in the United States. Visa applications are generally stronger if the financial support comes from family, employers, or other institutional sponsors located in the home country. If your parents will pay for your education, be ready to document how your family gets its income. Bring a letter from your parents' employers stating what they do, how long they have worked at those organizations, and how much they earn. When visa officers see information that is contradictory or does not make sense, they do not grant visas. If your family can only show enough income to support you in the United States, the officer will become suspicious. Large sums of money in bank accounts may not be sufficient proof of financial support. When providing information about your bank accounts, ask someone at your bank for a letter that states how long the account has existed, and what the average balance in the account has been. That should convince the visa officer that you and your family have a long and stable history of business at the bank. Most student and exchange visitor visa applications are approved. The most common reason for a student or exchange visitor application to be denied is that the person applying for the visa has not proven to the Visa Officer that they will return to their country when they complete their studies in the U.S.A. This rule is called Section 214.b. To determine your "intent to return" home, the visa officer will ask you a series of questions about your connections to your home country and about your study plans. 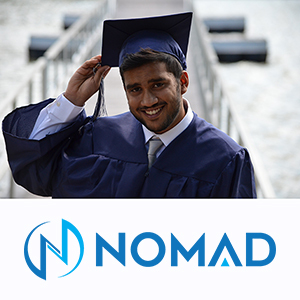 You will have to demonstrate to the officer that your family has the ability to pay for the first year of your proposed stay in the United States and that you have realistic plans to finance the remainder of your education. You must have all of the required forms with you including your I-20 or DS-2019 and the SEVIS payment receipt. You should bring any financial documents to demonstrate how you will pay for your education and any documents that might help demonstrate why you will return to your country. Some examples of such documents are previous passports demonstrating travel abroad, bank or salary statements, family documents or student records. If you are denied a visa there may be something you can do to reverse the denial. You may appeal the decision. In most cases, you will need to provide additional documentation that was not presented with the initial application. In some cases, a visa officer may request additional documents like proof of employment, or ownership of a home or business. You should respond with the information requested. Once a visa is approved, you should receive your visa within a few days. A full-time student would receive an F-1 or M-1 visa. Your spouse and children would receive F-2 or M-2 visas. An Exchange Visitor would receive a J-1 visa. Exchange Visitors come to the USA for consultation, training, research or teaching, or for an approved Au Pair or temporary work position. Last Year 393,573 F-1 Student visas were issued and there are currently 1,184,735 million students in the United States on F and M visas! Visa officers are giving increased scrutiny to all visa applicants. This simply means that you need to make sure you are well prepared for your visa interview. Be sure to follow the suggestions in the accompanying article. You should be able to explain in the very brief visa interview why you want to study in the United States, what you will study and how this will prepare you for work in your country when you finish your studies. You need to be able to explain why you applied to the school that has accepted you and how you will pay for your studies and living expenses. You may also be asked additional questions, including your identity on social networks like Facebook. Wait times for interviews and visa issuance may be longer so it is especially important to apply for your visa as far in advance as possible. Student visas can be issued as early as 120 days before you start your program.